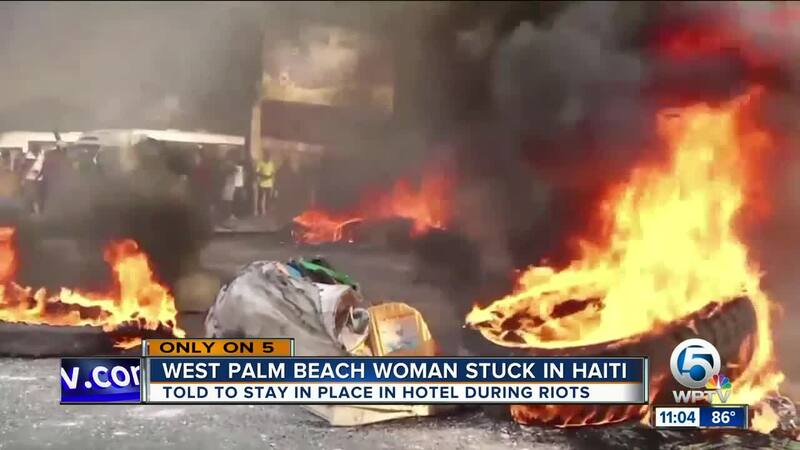 A local YouTube personality and makeup artist from West Palm Beach is stuck in Haiti with her husband amid violent protests in the country. 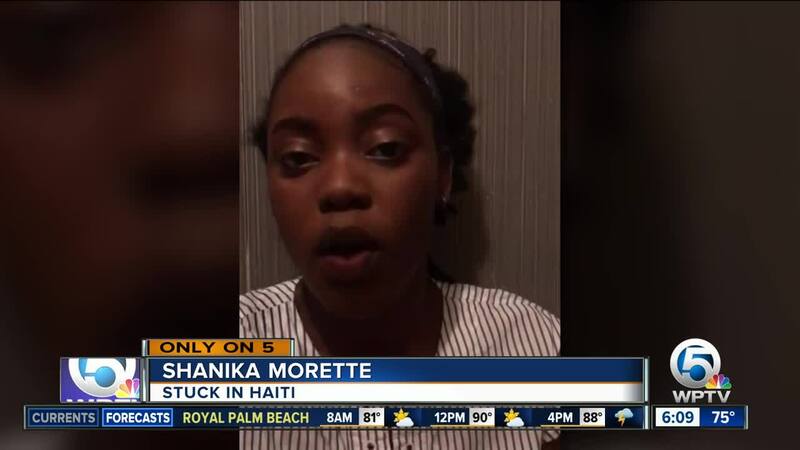 Shanika Morette spoke from her hotel room after the State Department warned U.S. citizens to shelter in place during the violence. Morette said her baby is back home in South Florida with family members while she went on vacation with her husband to Haiti. She is hopeful to get on a flight Tuesday back to the United States. “People are throwing rocks. People are burning tires in the middle of the road, flipping cars over, using the hoods of cars as barricades. They’re burning down buildings. They’re burning down anything they can get their hands on,” said Morette. American Airlines, which had canceled 10 flights since Saturday, said three of its planes had left Sunday from Port-au-Prince and the northern city of Cap-Haitien bound for Miami and New York. "I just hope and pray we leave on Tuesday, as we are intending to. My cousins went to fly out yesterday and they canceled all flights yesterday and the day before yesterday. All of our fingers are crossed that Spirit keeps their word and we fly out on Tuesday. We’re just trying to get home and leave the chaos behind,” said Morette.